1. The contributors are requested to submit their manuscripts electronically. 2. All submitted manuscripts are subject to initial appraisal by the editors, and, if found suitable for further consideration, to peer review by independent/ anonymous expert referees (one foreign and one local). 3. Mathematical materials used in the text must be explained fully and step-by-step in separate appendices for the benefit of referees. Such appendices, however, will not be published. Utmost care should be taken to prepare statistical data for publication. All headings, columns, rows, symbols, units and sources should be clearly stated in each statistical table instead of giving such explanations in the text. Authors should also send additional notes or the methods used in deriving statistics but such notes will not be published. Diagrams should be accompanied by the data upon which they are based. 4. Abstracts. Authors are requested to send abstracts of their articles not exceeding 100 words. They are further requested to give a summary of their findings at the beginning or the end of their articles. Bibliographical references should be accurate and complete in respect of the title, the name of the author, the year and the place of publication. Please add persistent links to those references that have DOIs (Digital Object Identifiers). References and footnotes should not be on the text pages, but in a separate section. Short comments, notes or letters on themes of current or historical interest will be particularly welcome. The Editors do not assume any responsibility for the views expressed by authors and the accuracy of the data used by them. Furthermore, the author is responsible for plagiarism if found. 7. Pakistan Economic and Social Review is an open access, peer-reviewed, and refereed journal published by the Department of Economics, University of the Punjab, Lahore. All contents are freely available without charges to the user or his/her institution. 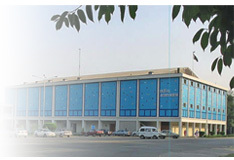 The readers are allowed to search, read, download, copy, print, or link to the full texts of the articles published in Pakistan Economic and Social Review (http://www.pu.edu.pk/home/journal/7) without asking prior permission from the publisher or the author. Previous issues are also available in electronic form at JSTOR (http://www.jstor.org). All materials for publication and books for review should be addressed to the Managing Editor, Pakistan Economic and Social Review, Department of Economics, University of the Punjab, Quaid-i-Azam Campus (New Campus), Lahore-54590 (Pakistan).